Once our process is complete, our crews clean up thoroughly - even washing all your outdoor windows. We guarantee our work for seven years to keep your roof system free of algae and fungal growth. 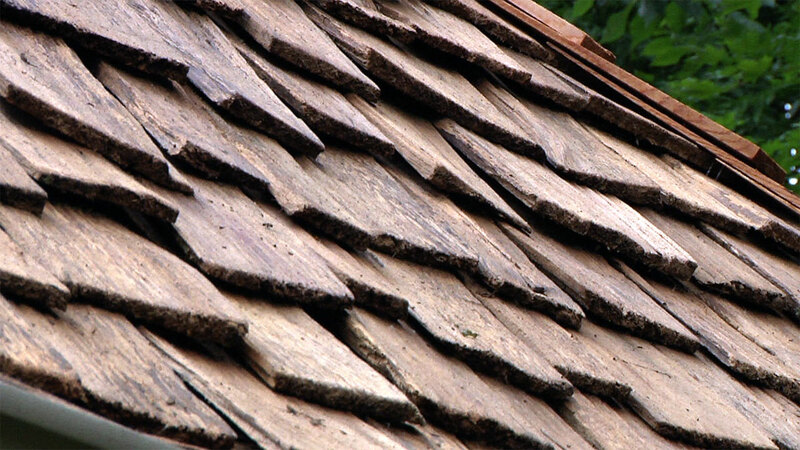 Why maintain your cedar roof? 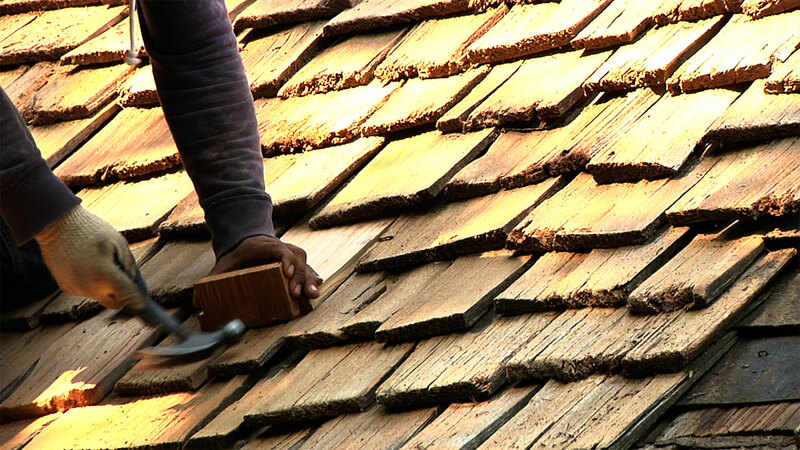 Exterior Wood Restoration recommends cleaning roofs on a regular basis to keep keyways clear of debris and to remove any “green” growth on shakes. Regular treatment to rehydrate the wood keeps the roof in top condition as well. We recommend having the restoration process done every seven to ten years. 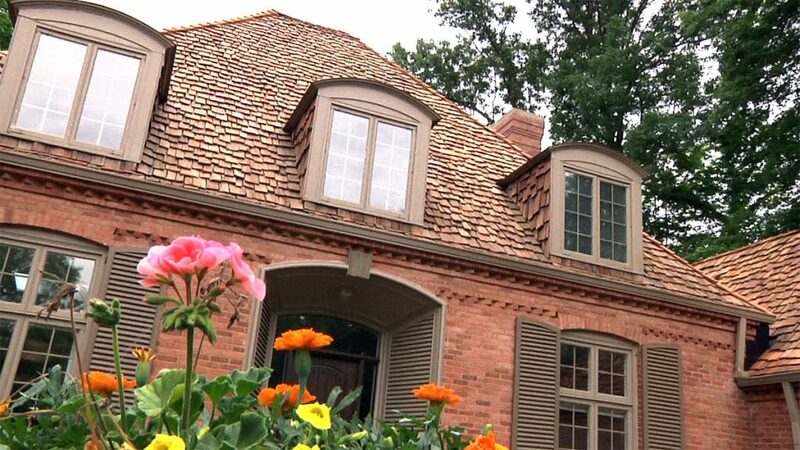 With proper maintenance an older shake roof can easily have that “like new” appearance again. 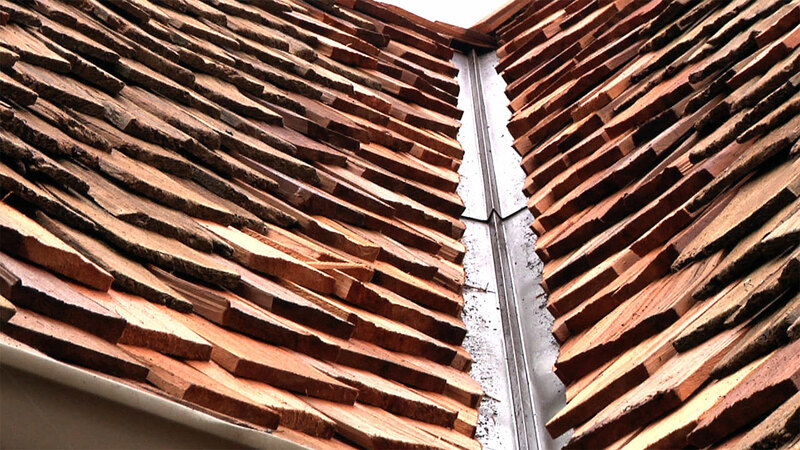 Our roof restoration process is a complete and professional service that will leave your cedar shake roof system in the best possible condition. Time and time again, our customers are amazed at how much of an improvement our restoration process brings to their home. 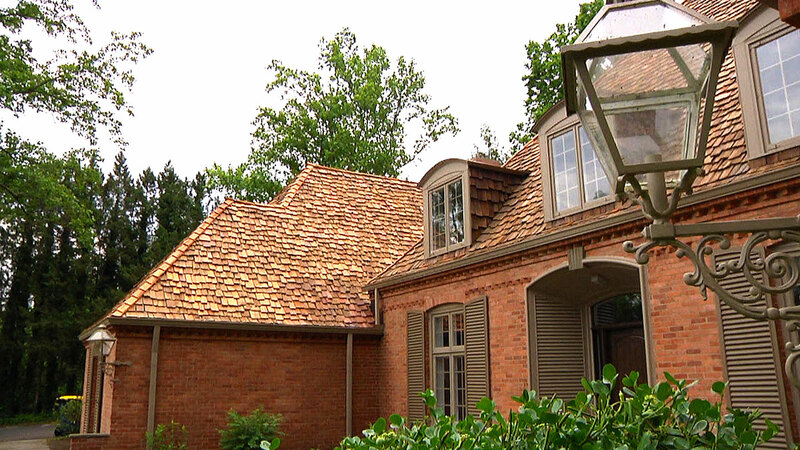 The restoration process helps to extend the life of your roof. The restoration process begins by carefully protecting your landscaping and disconnecting all downspouts to keep the drainage system from clogging. A gentle, yet thorough cleaning of your home is next. Great care is taken to ensure that no damage is done to each individual shake. Throughout the entire restoration process, an ongoing examination reveals any repairs or damage that needs to be addressed. 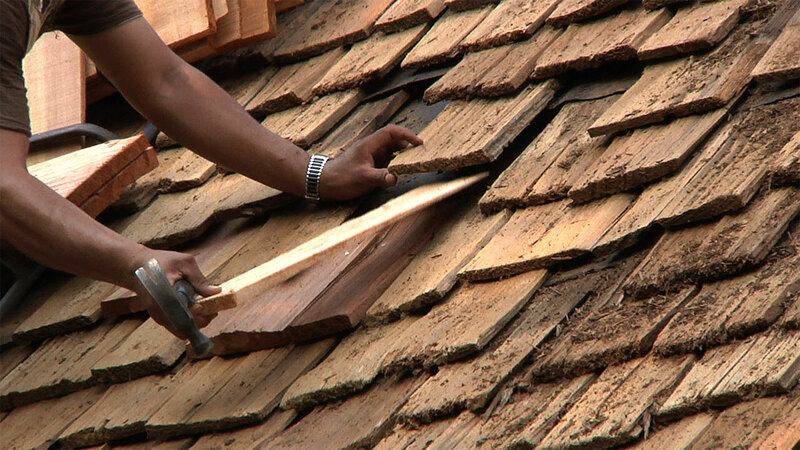 Shakes that are worn, cupped or severely cracked are individually replaced throughout the entire roof. Hip and ridge cap that is loose and/or missing will also be replaced. 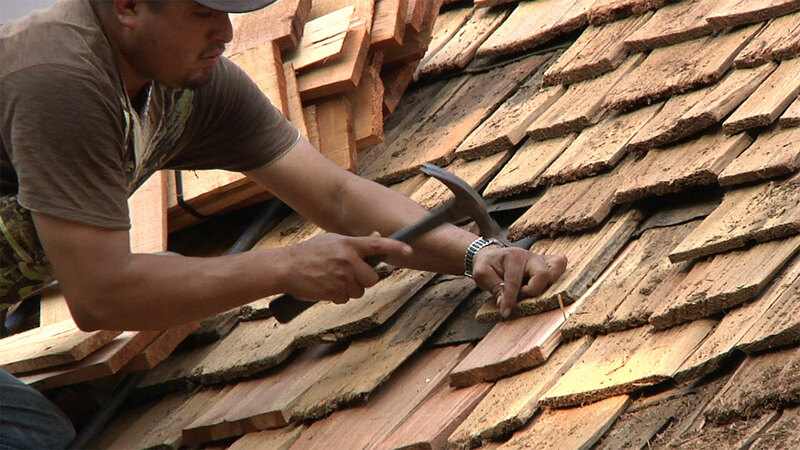 Unlike other roofing companies, when Exterior Wood Restoration replaces a shake, no nails will be visible. This is an important distinction from inferior roofers whose repairs are obvious and detract from the appearance of your home. 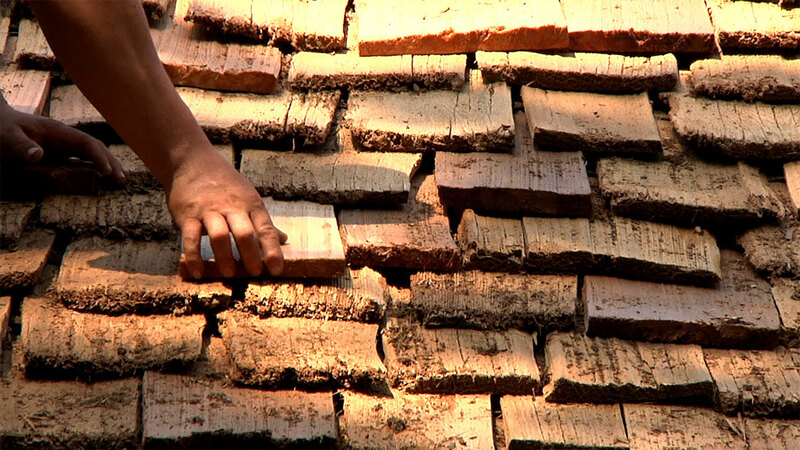 Chimney flashings are inspected to make sure they are properly ground into masonry and sealed. Step flashings are also checked for integrity. Any necessary repairs are made. After shake replacement, the roof is conditioned with wood brighteners to even out the color of the roof. 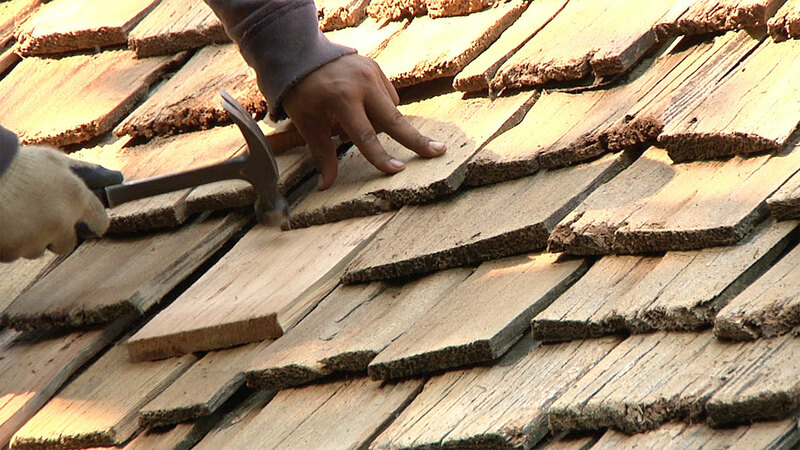 Often, depending on the condition of the roof, all hip and ridge caps are replaced. Finally, the roof is treated with our own Timber Ox® Green Roof Conditioning oils to the point of saturation. This treatment process helps rehydrate the shakes, replacing the natural oils that have been compromised due to sun and weather damage. Our oils are blended with an anti-fungus, anti-mold and anti-mildew agent to keep your roof free of green growth for many years. Homeowners can refer to the Cedar Bureau Care and Maintenance Manual for further information on the cleaning and restoration process. All exterior wood needs maintenance; our success is relative to our high level of commitment to quality, value, and total customer satisfaction. Exterior Wood Restoration has a proven track record. Contact us today for a professional, free estimate.